Driven by Data & Experience. The multicultural consumer landscape can sometimes feel like uncharted waters. You can rely on our team of experts to help you navigate through the complexities and optimize ethnic engagement on your campaign. Megafone bridges the Western and Eastern markets. We have the know-how, the resources and expertise to help you execute your media campaign from start to finish. Our programmatic display solutions enable efficient targeting of the multicultural consumer at an individual level. We can help you with your social strategy whether it is influencer outreach or building a brand presence on the right platform. From social media listening to content curation and community management, we offer the full suite of expertise to connect you with the ethnic consumer socially. Connecting Point is Megafone’s Influencer program. We bring the brands and cultural Influencer together. We amplify your brand message in effectively to your consumers. Our primary & 3rd party data provides clients insights into their customer digital habits, buying interests, shopping channels – so the right message is delivered to the right user at the right time. Utilize our data resources to segment multicultural consumer group and target the right prospect. Creative context is an important factor in reach ethnic consumers. Often, at times, campaigns do not perform as expected because the creative lacks cultural relevance. Megafone can help you strategically trans-create your campaign so that your message reaches the right audience with meaningful impact. Combining language with our cultural expertise, we bring to clients a quick, reliable and impactful language adaptation solution that brings the campaign to life. Megafone offers vetting services to assist our clients navigate through the complex and confusing multicultural media landscape, and the constantly changing user behaviour. Founded in 2013. Megafone – a Canadian company – is built with a diversity of young and experienced veteran advertising and media pros. Together we bring you over 100 years of successful industry practice and expertise. Like a global citizen, we are multicultural and we THINK multicultural. We’re always changing and adapting new technology. We’re the LEADER in the multicultural digital space. Ahead of the Curve! Each new day, we bring new insights, strategies, tactics and products to our clients. 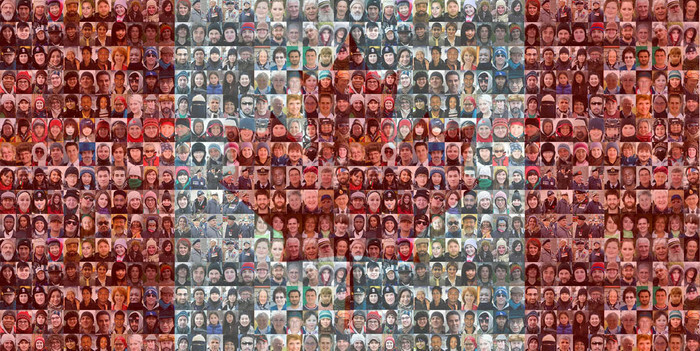 Immigration has played an increasingly critical role in the shaping of Canada’s population. A variety of factors, including policy developments, have led to important changes in the composition of the immigrant population over time. As a result, the nation’s linguistic diversity, racial diversity and religious diversity have all been on the rise. These trends show no signs of slowing. It is crucial for marketer and advertising professional to learn the markets and discover the true consumers.